Abraham Zapruder didn't know when he began filming President Kennedy's motorcade on November 22, 1963 that his home movie would change not only his family's life but American culture and history, as well. Now his granddaughter tells the whole story of the Zapruder film for the first time. With the help of personal family records, previously sealed archival sources, and interviews, she traces the film's complex journey through history, considering its impact on her family and the public realms of the media, courts, Federal government, and the arts community. 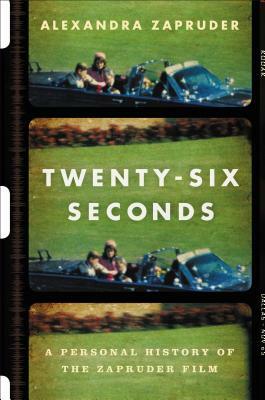 Part biography, part family history, and part historical narrative, Zapruder shows how twenty-six seconds of film changed a family and raised some of the most important social, cultural, and moral questions of our time.